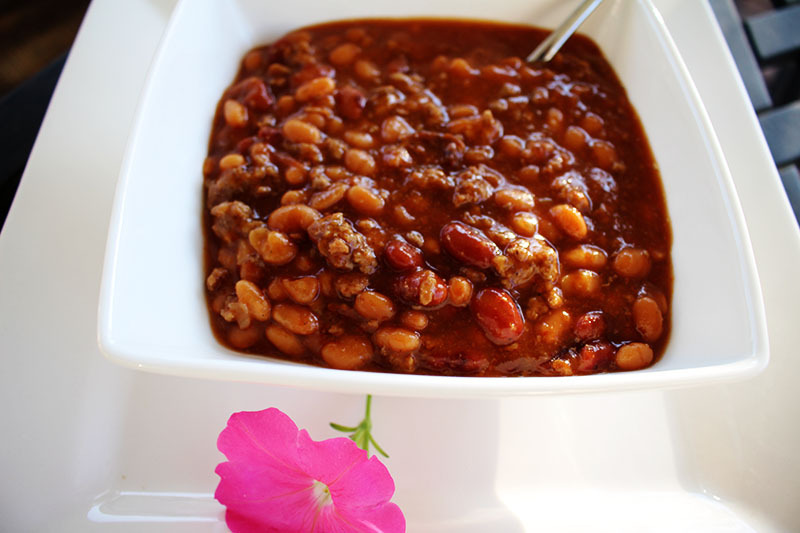 Easy Baked Beans have a short preparation time, and then you are able to just let them cook until it is time to serve them! I love to put everything in the crock pot and when we are ready to eat they are ready too. This recipe has been around since I first got married and we still love it as much 30 years later. You will enjoy having these with some vegetables, or as a side dish with hamburgers. 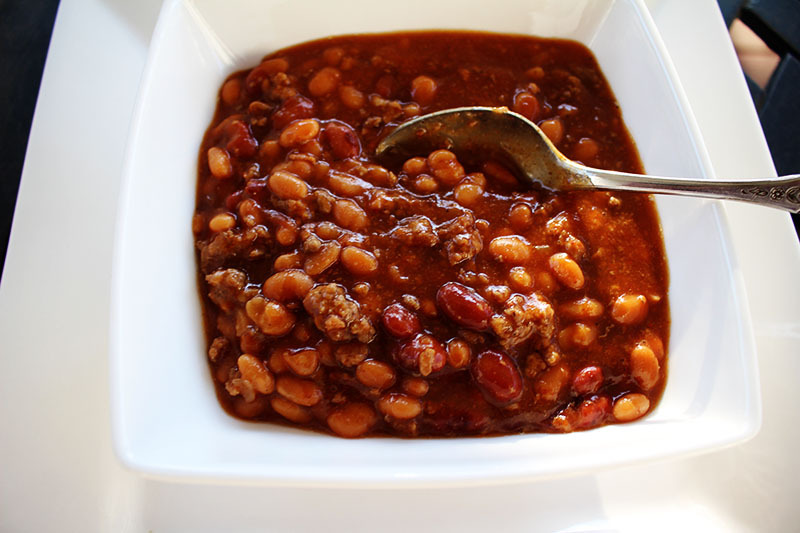 These baked beans go great with most dishes. They are very mild, so if you like them a little spicier, you will need to add some hot chili in place of the mild chili. You might also enjoy having bacon in the baked beans as well. If you do, you can fry some up and add a few pieces. Many people love bacon, so if you have a bacon lover around, go ahead and make them happy! I personally am not a bacon lover and so I like to use hamburger. You can do what is good for your taste. Make the baked beans with hamburger, bacon, or use both. Most people like them anyway that you make them. One of the reasons that I like them so much is because they are so quick and easy. I know that a lot of people eat easy baked beans in the summer, but they are great any time of the year. Bean are good for you and my good friend swears by this secret. If you will put a raw potato in your easy baked beans, they do not give you the after affects that beans tend to give most people. I am not kidding, go ahead and try it for yourself! You will be glad that you did as will everyone else. 😉 Let me know how it works for you! I know it is truly a personal matter, but it is nice when someone helps you out! 1- Eat easy baked beans with grilled cheese sandwiches. 2- You could also eat them with BBQ sandwiches. 3- How about grilled cheese? 4- Cook the ground beef in a skillet and then, dump everything into the crock pot! Brown ground beef in a skillet. I also like to add salt and pepper for a little flavoring. Saute onion and add to the ground beef. In a crock pot add pork and beans, chili, sugar, mustard, barbecue sauce and catsup. Add ground beef and onions to mixture and stir altogether. Cook on high for 1½ hours or low for 2½ hours. These are so much better than store bought! Sounds easy and yummy! They really are better than store bought and oh so easy.